Traditional approach is you work till 65, keep making small savings in your retirement funds. 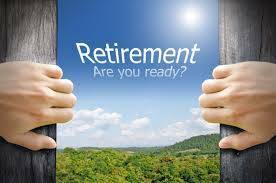 By the time you retire you should have about $500k in your investments. These investments will give you a yield of about 5%, so you will get about $25k a year. You will also be eligible for Super, may be one investment property so roughly you will get about $50k a year.